Beadwork is a strong part of Maasai tradition and culture, and selling beads can be a major source of income for Maasai women in areas frequented by tourists. Though women learn this traditional craft, men also wear the beads, which represent age, social status and other facets of life. Sanago, a proud Alailelai village bead artist, shows off her work. The women of Alailelai village produce beautiful, handmade beadwork. The women of Alailelai village produce exquisite beadwork, but they do not have access to any sort of market. To address that, Maasai Partners has been purchasing beadwork directly from dozens of women in Alailelai Ward and selling the goods at summer fairs in the United States. Profits MP makes through selling the beadwork return to purchasing more pieces and to supporting our other programs within Alailelai Ward. 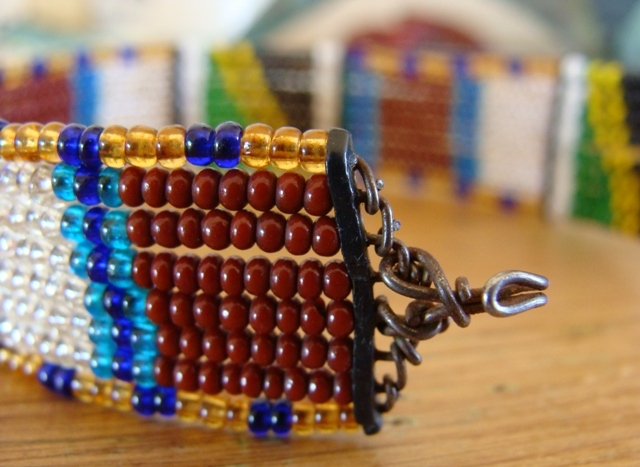 Volunteers in the United States sell the beadwork at craft fairs, holiday shows and festivals and while doing so inform the public about the work MP is doing. Those interested in the summer fair schedule can contact us. In order to have a more sustainable impact, however, we’re now transitioning to partnering with and selling the beads through Aid Tanzania. This US-based nonprofit organization trains Maasai women in Karatu to produce beaded products and quality check each other. Orders range from Christmas ornaments to restaurant placemats to leaf decorations on wedding tables. We’re in the process of involving more women from our villages in Aid Tanzania, so they will have a more sustainable source of beading income. The project ensures ongoing business for the women and teaches them skills that will help them into the future. As the women become more familiar with the program, outside organizations step back to create a process that Tanzanians direct and grow. To help us help these women, donate here. 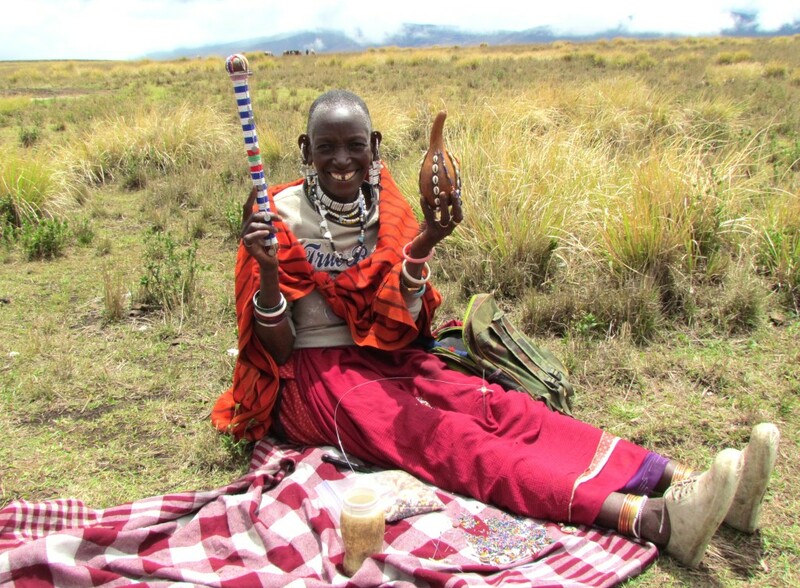 To order beaded jewelry or products through MP, email info@maasaipartners.org. 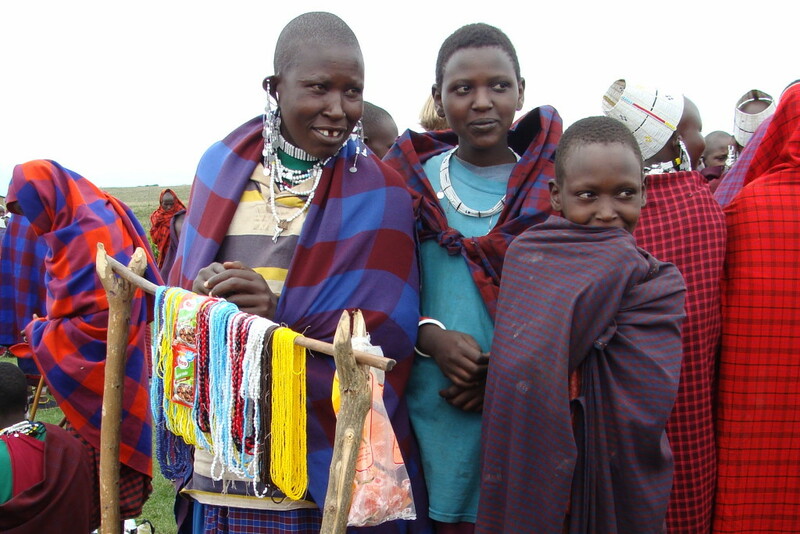 Maasai women, men and children wear traditional necklaces and other beadwork. 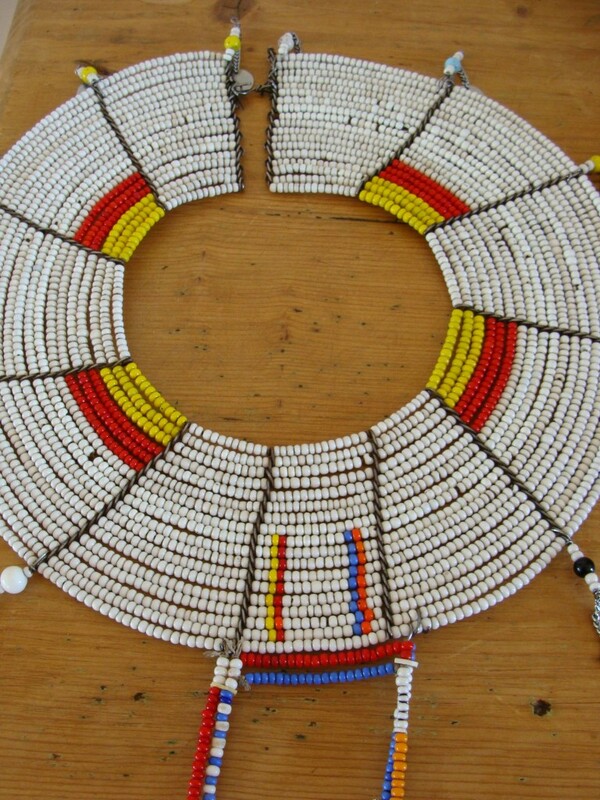 Maasai make use of whatever materials they can find to create jewelry.